Priced below market in sought after Sage Creek Subdivision. 3 Bedroom, 3 bathroom and Study can easily be converted to a 4th bedroom. Versatile Open floor plan include all rooms downstairs and Game room upstairs has a large kitchen with an Island overlooking the back yard with Hot Tub. The skylight in the kitchen is out of the ordinary and just a few other highlights. 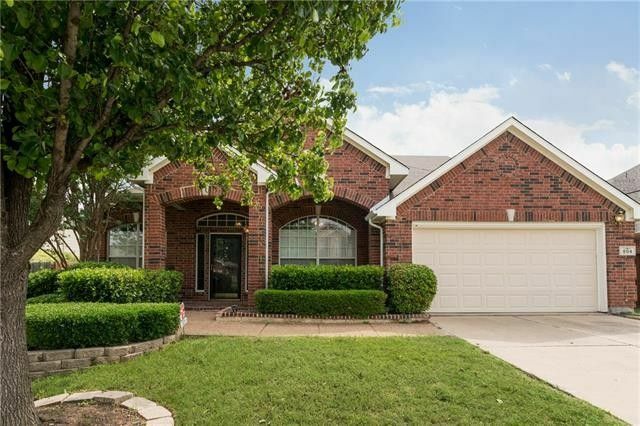 Walking distance to community park, tennis, pool and High Rated Wylie School. Entry Hardwood floor was just installed recently and new Roof was installed in 2016. Home also has 3 zoned cooling and heating system which help conserve utility. Directions: 75 North and Exit on Plano Park Way and go East and go North on McCreary Rd. and Right on Riverway and right on Applachian and Left on Bayou Court.